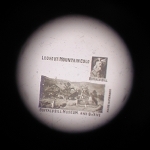 Le Roi Mongkut du Siam (Mongkut, King of Siam). 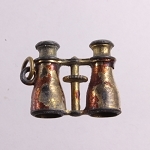 Both stanhopes are clear and easy to see. 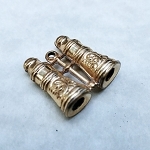 The charm measures 14mm x 16mm. 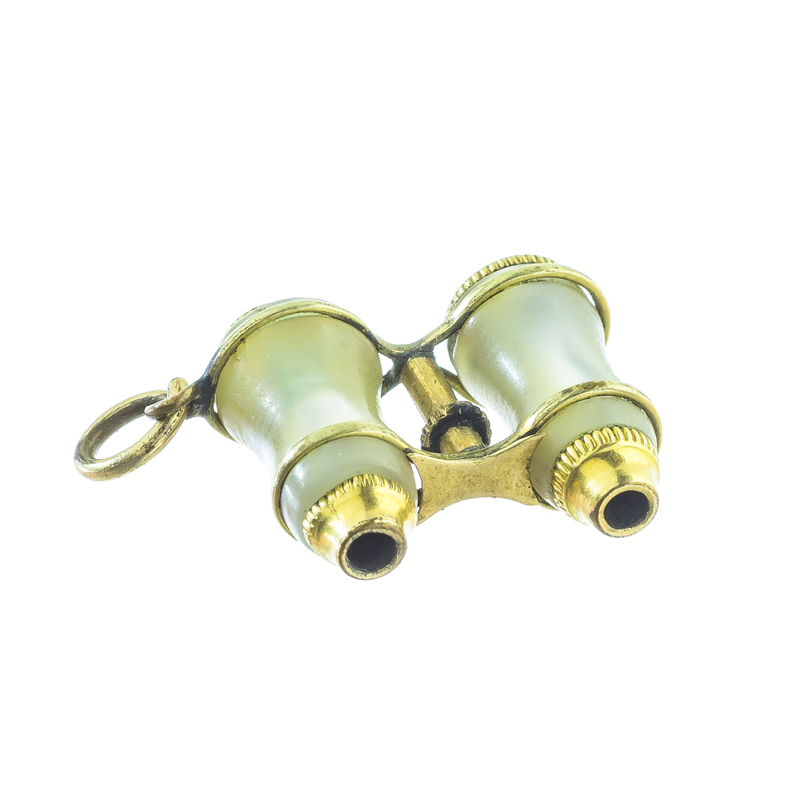 The silvery white mother of pearl has a polished and iridescent look to it. 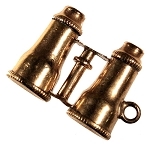 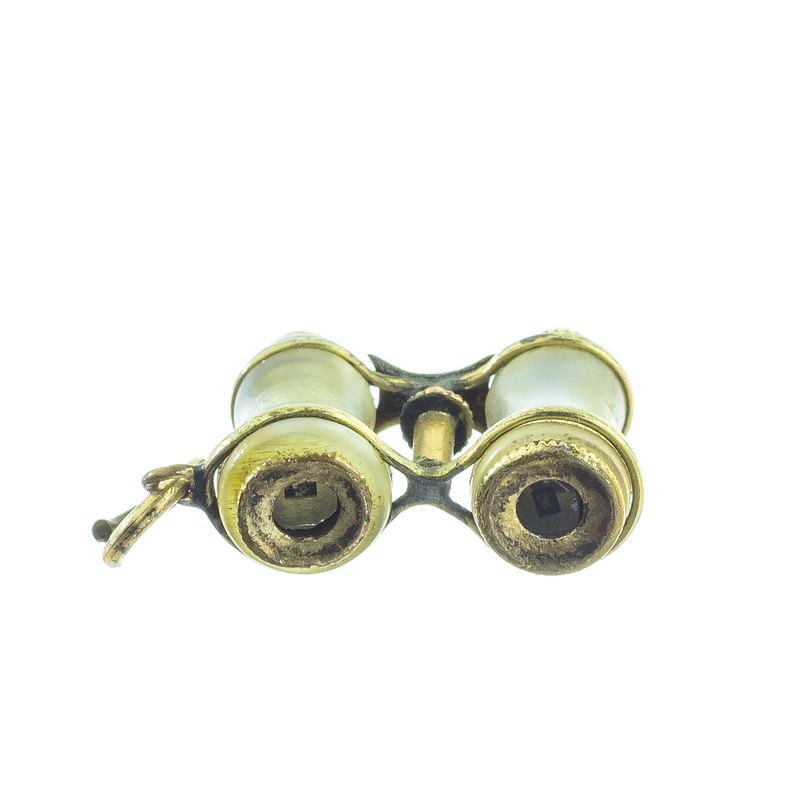 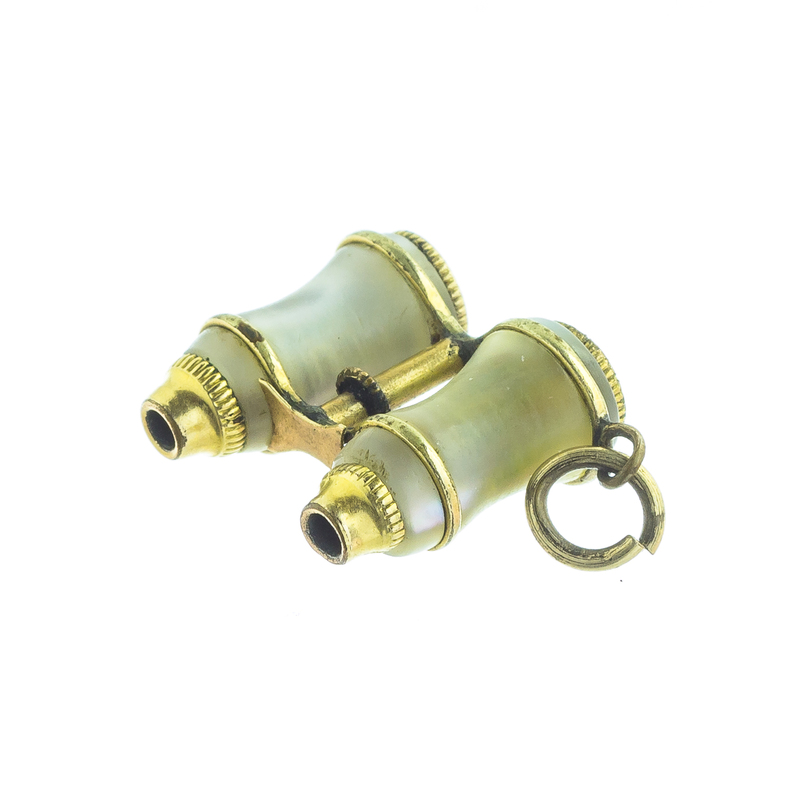 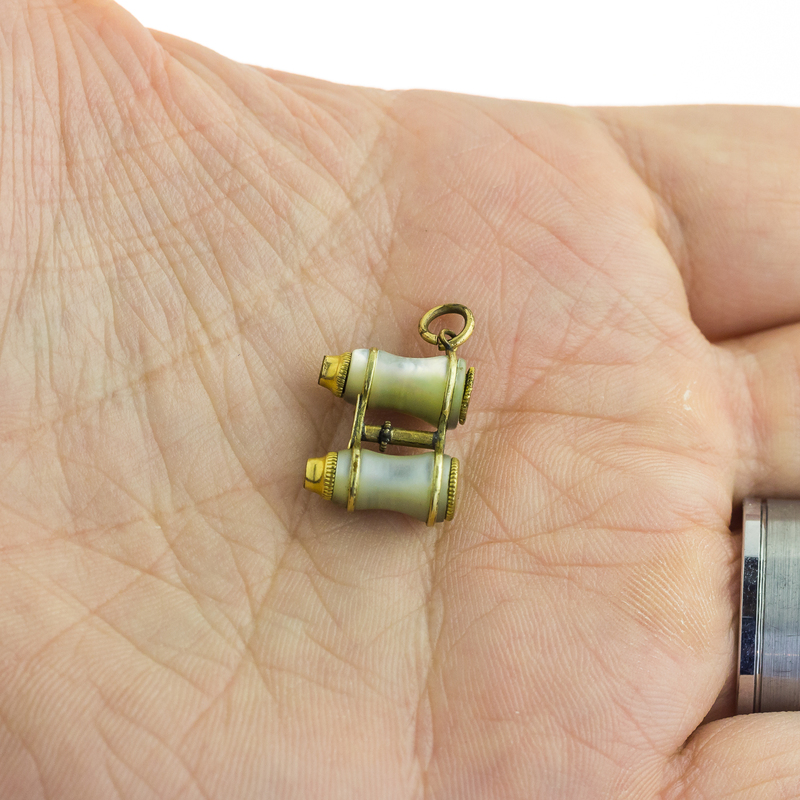 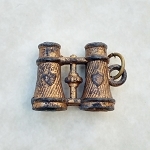 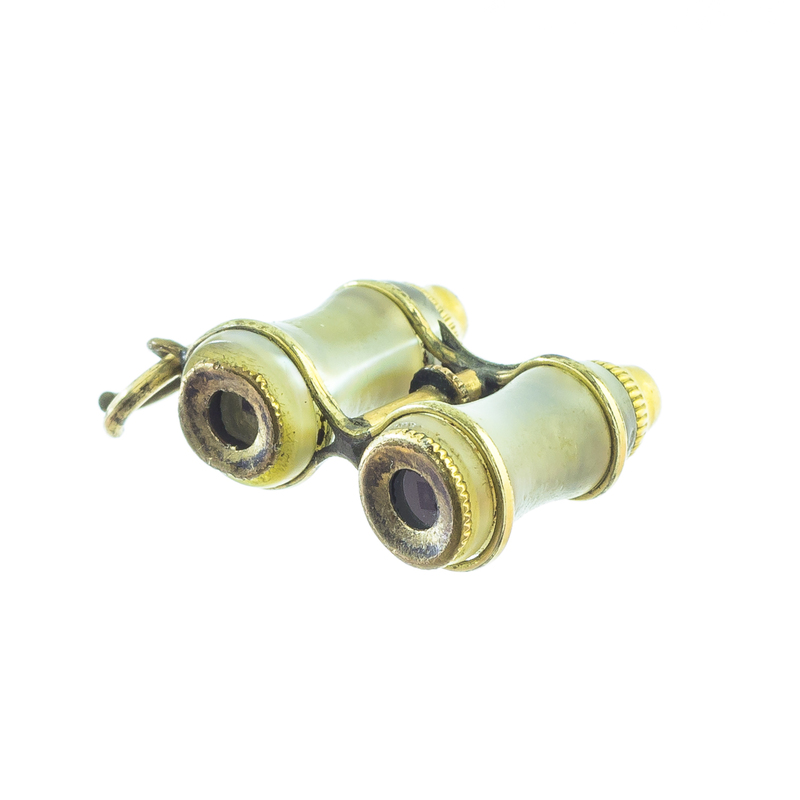 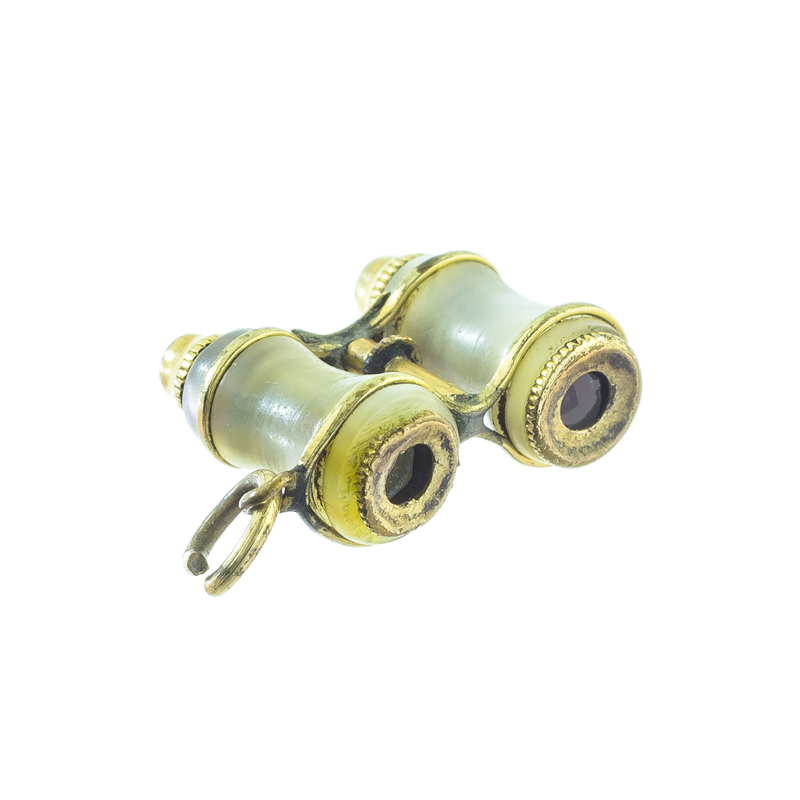 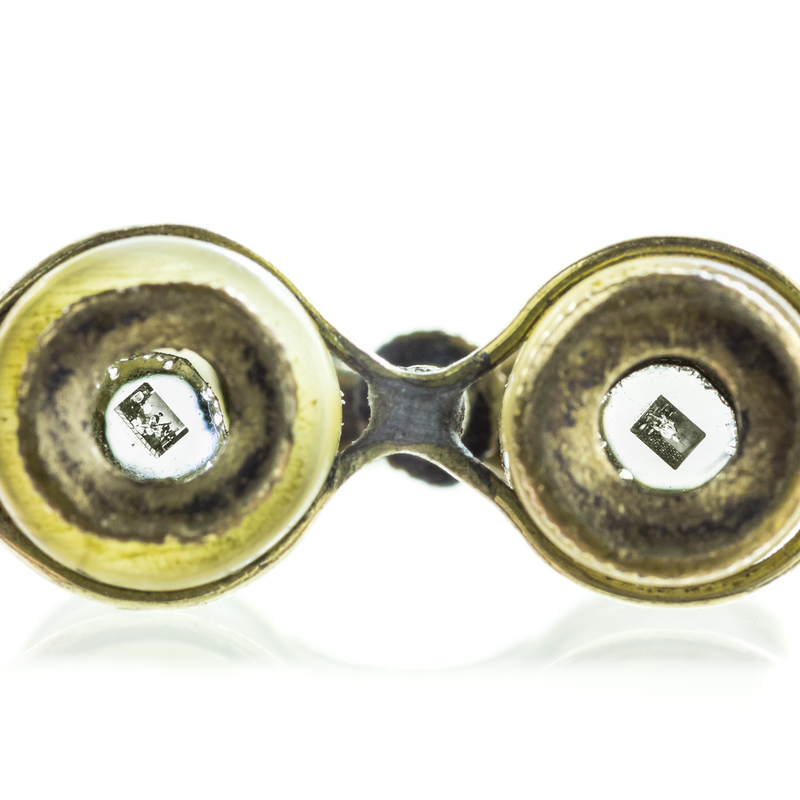 This binocular charm fob pendant also retains the original split ring.